Nabs, the industry support group, has launched an online film designed to highlight the challenges faced by working parents in advertising. The "Little voices" spot, created by Mcgarrybowen, stars real working parents from the industry and uses animated drawings that come to life to illustrate the frustrations children often feel. 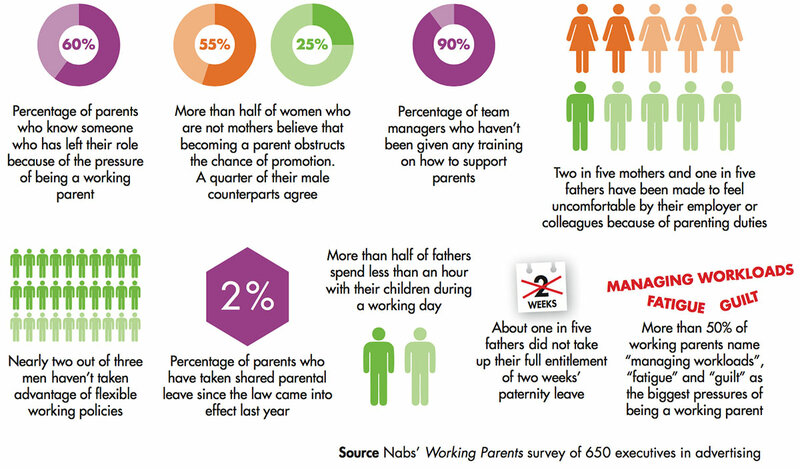 The film builds on research from Nabs that revealed 60% of people know someone who has left their role because of the pressures of being a working parent. Lorraine Jennings, head of support at Nabs, said: "This generation of parents coming through the industry are the pioneers in shaping new approaches to combining work with family." However, according to Jennings, they also face their own unique set of challenges and social forces both at home and in the workplace. For example, grandparents who don’t live close by or aren’t available to help, while the unrealistic expectations of perfection that parents place on themselves adds even more pressure. Diana Tickell, chief executive of Nabs, added: "We still have a long way to go." She pointed to a response from a father to the charity’s Working Parent research who said that "senior leaders have forgotten what it is like to be in the trenches with young children". The pressures facing working parents are particularly acute towards the end of the year, when demands for corporate entertaining and the inevitable wave of Christmas illness, combined with financial strains and the not-so-festive seasonal rounds of redundancies, can collide to create a perfect storm of stress and burnout. This is one of the busiest times of year for Nabs’ advice line, which typically takes 10% more calls during October to De-cember than the average period. Karen Blackett, president of Nabs and chairwoman of MediaCom, said: "As industry leaders, we must implement better working practices to support and attract talent and ensure our industry is family-friendly." There are signs that the next generation of working parents are increasingly unwilling to accept the status quo and are championing a new approach that moves the debate on from the often fruitless pursuit of "balance". 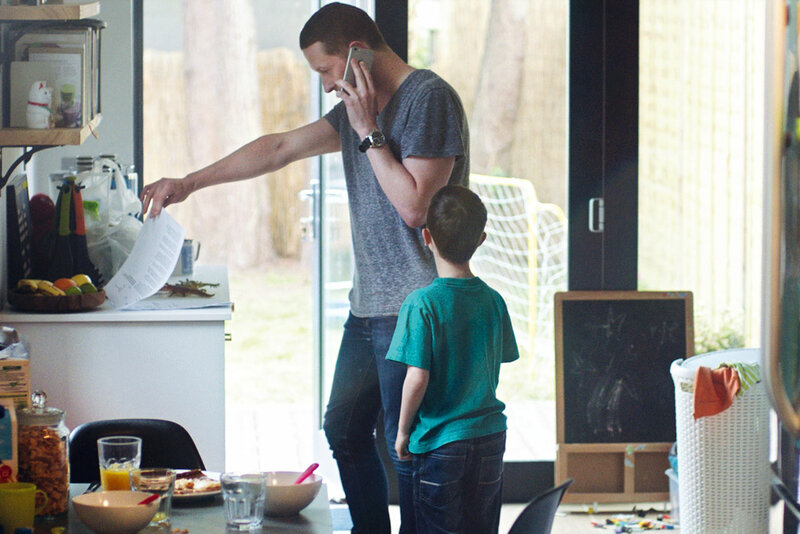 Richard Morris, chief growth officer, EMEA, at Dentsu Aegis Network, is one of the working parents who appear in the ad. He said that the notion of a work/life balance isn’t particularly helpful and "in itself feels like an unattainable ambition". He explained: "Balance implies calm and serenity. Neither my home nor my work life reflects this, and neither would I want them to." Another of the film’s parent stars, Katy Talikowska, managing partner at Abbott Mead Vickers BBDO, advocates for ruthlessness among working parents. She said that trying to work and parent at the same time will mean you do neither well. "The catalyst for me was my daughter hiding my phone because she was upset that I was constantly checking it when we were together," Talikowska said. "This isn’t a legacy that I want to leave her." all five of the panellists argued in favour of taking a full year’s maternity leave. Speaking at the event, Lisa Humphreys, board director, trading, at MediaCom, who was promoted while on maternity leave, reassured the audience that "things don’t change that much" in a year. She added that, regardless of being a parent, you will not be the only person in your office who is making compromises. At the same event, Ravleen Beeston, head of sales of Bing UK at Microsoft, reminded the audience to "demand support" from partners and "not place every responsibility" on themselves. For working parents in adland, it may at times feel like pushing water up a hill, but flexibility is rising up the business agenda. In the meantime, as Talikowska said: "Console yourself with the fact that a balanced life is rarely an exciting one."